Most of historical villages in mountainous regions of Japan were settled on the gentle slopes created by landslides.ﾂꀀ Landslides provide living space in mountains, but induceﾂꀀ serious disasters for villages. In order to reduce landslideﾂꀀ disasters, studies on mechanisms of landslides and predictionﾂꀀ methods of landslide movement are investigated in this section. 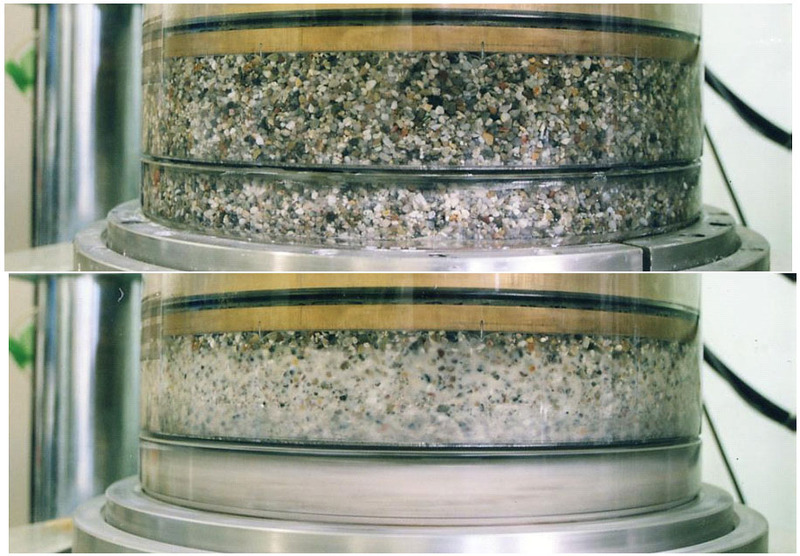 Rapid and long traveling landslides triggered by earthquakesﾂꀀ and rainstorms were studied using a large scale ring shearﾂꀀ apparatus that was developed at DPRI. In accordance withﾂꀀ recent serious earthquake disasters in Japan, we extended theﾂꀀ research field to urban regions. 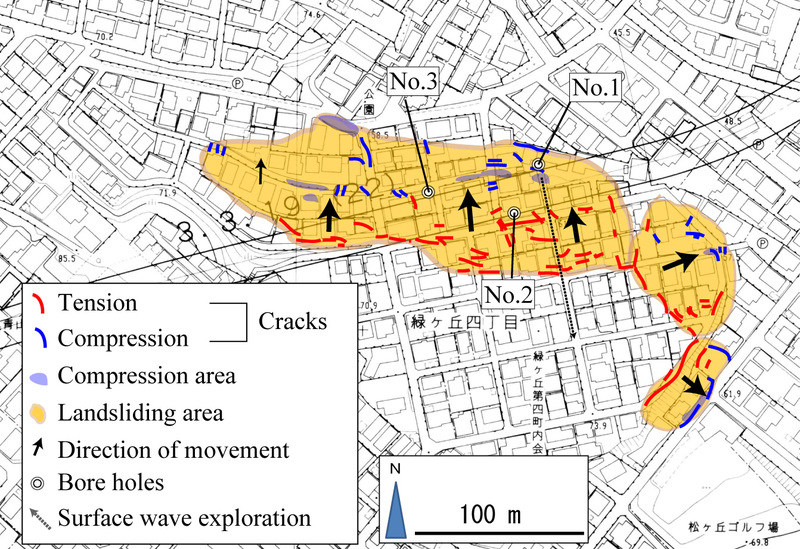 Landslides of urban residentialﾂꀀ fills caused by major earthquakes, e.g. the 1995 Kobeﾂꀀ earthquake and the 2011 Tohoku earthquake, were investigated to clarify the landslides inventory and mechanism. Cooperation and technical transfer with foreign institutes are routinely conducted.